When I started this blog, I promised myself that I would never stoop as low as other blogs who use photos of cats to surreptitiously obtain their readers’ affection. 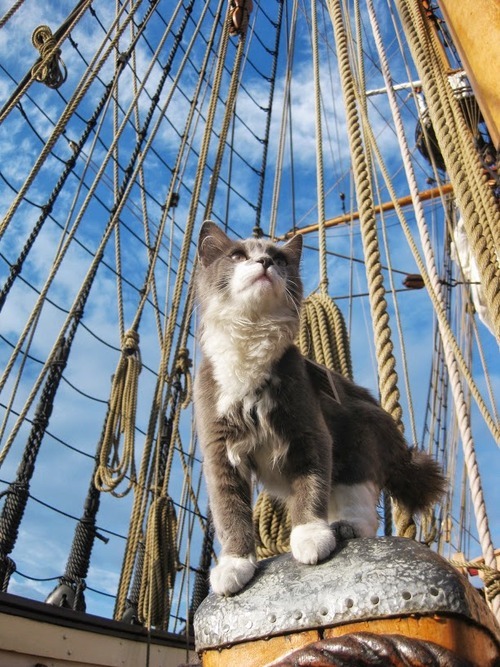 But now I have come across a historical source of law in which cats fill maritime law with life. If any property or merchandise is damaged by rats while aboard a vessel, and the patron had failed to provide a cat to protect it from rats, he shall pay the damage; however, it was not explained what will happen if there were cats aboard the vessel while it was being loaded, but during the journey these cats died and the rats damaged the cargo before the vessel reached a port where the patron of the vessel could purchase additional cats. If the patron of the vessel purchases and puts aboard cats at the first port of call where such cats can be purchased, he cannot be held responsible for the damages since this did not happen owing to any negligence on his part. This entry was posted in Books, History, Law, Travel and tagged cats, maritime law, Valencia. Bookmark the permalink.